Isiah Factor | The Insite » THE MIDDLE AGED MAN WHO LIVED IN A SHOE! THE MIDDLE AGED MAN WHO LIVED IN A SHOE! April 30, 2009 | Posted in Uncategorized | Comments Off on THE MIDDLE AGED MAN WHO LIVED IN A SHOE! YOU THINK HE GETS ANY REST? We all know the nursery rhyme about the old lady who lived in a shoe. Well, on Thursday I think I ran into the old woman’s counterpart – the middle aged man. 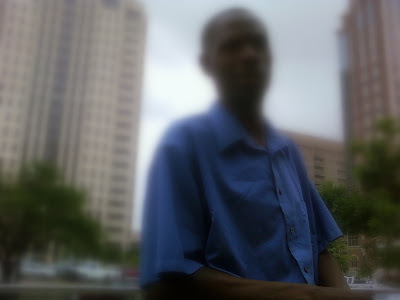 I met him while I was covering another story in downtown Houston. He said he had been trying to contact me for a story he wanted to do. He felt as if he was being harassed by the Harris County Sheriff’s Department. He says every time there is a crime on his street the neighbors blame his children and deputies show up at his house. Just how man children does this man have? Not 2 or 5 or 7 or even 10 but 16. That’s right, 16 children. When he told me that my jaw dropped. I asked him, “you have 16 children on your own.” He said no I had some help from my wife. With 16 kids this guy must have quite a financial burden. But he says his biggest problem is being harassed by law enforcement about his children. His downtown visit wasn’t about a stroll in the park. He was visiting one son in the Harris County Jail while checking on another one of his kids at the Harris County Juvenile Justice Center. I wonder if he ever gets a peaceful night’s rest!